On free-to-air television, ABS-CBN will have Ted Failon and Bernadette Sembrano at the helm of its “Ang Panunumpa: Pangako ng Pagbabago” special coverage that will begin at 8:45am. To relive the past inaugurations in the nation, Karen Davila will have Fidel V. Ramos and Joseph Estrada on “Headstart” at 8am, where the hard-hitting broadcast journalist will also ask the two former presidents for their insights on Duterte. Anchors Cathy Yang, Nancy Irlanda, Tony Velasquez, Ron Cruz, KC, Lexi Schulze, and TJ Manotoc will also be on duty for the rest of the day and will be joined by political analysts and subject matter experts, as ANC continues its coverage of the first day of Duterte and Robredo in office. "The inauguration ceremony marks a democratic shift in power in the nation, the transfer of leadership between two popular presidents. It symbolizes an end, and also a beginning. It's a very important day in the life of this country, when more than ever, the Filipino people's sense of hope is real and palpable. ABS-CBN will be there to give Filipinos not just a front row view of the event, but a more in depth look on the significance of the day and what it really means to the Filipino people as seen from different perspectives," said Ging Reyes, head of the ABS-CBN Integrated News & Current Affairs. On free-to-air television, ABS-CBN will have multi-awarded news anchors Ted Failon and Bernadette Sembrano at the helm of its “Ang Panunumpa: Pangako ng Pagbabago” special coverage that will begin at 8:45 am and will feature live reports from different points in the nation: the Malacanang Palace, the country’s seat of power; the Quezon City Reception House, incoming Vice President Robredo’s choice official residence; and Naga and Davao --- the hometowns of Robredo and Duterte, respectively. On cable TV, ANC, the ABS-CBN News Channel, will kick off its special programming live from the ANC studio in Rockwell, Makati at 5:30am via its morning news show “Mornings@ANC.”The program will be have people close to Duterte and Robredo as studio guests, including the outgoing Davao mayor’s co-host in his radio show “Gikan Para sa Masa” Geraldine Tiu. Meanwhile, anchor Christian Esguerra will also interview Robredo’s spokesperson, Georgina Hernandez at the venue of the Naga Representative’s inauguration. Be one with the whole nation in welcoming the 16th Philippine President this Thursday, June 30. 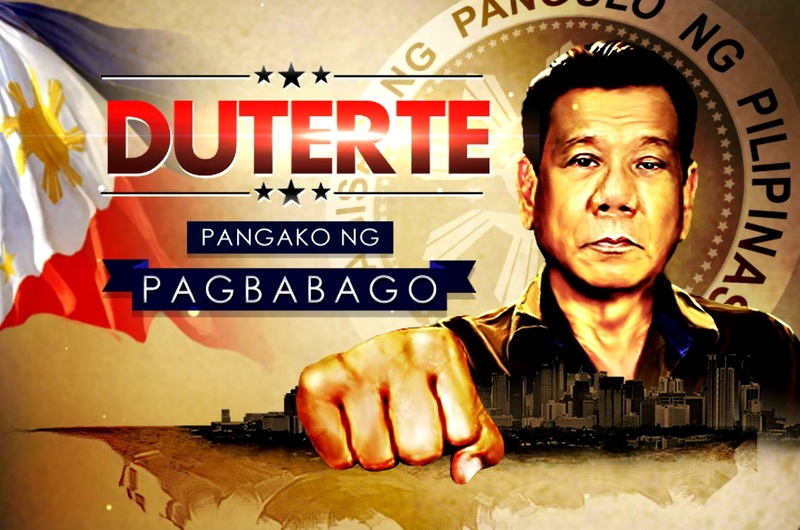 Stay tuned to “Ang Panunumpa: Pangako ng Pagbabago” starting at 8:45am on ABS-CBN, ABS-CBN HD, and iwantv.com.ph; “The Inauguration: An ANC Special” starting 5:30am on ANC; and “Ang Panunumpa: Pangako ng Pagbabago The DZMM Special Coverage” starting 8am on DZMM Radyo Patrol 630 and DZMM TeleRadyo on SkyCable and ABS-CBN TVplus. Stay updated online via news.abs-cbn.com/duterte-presidency or by following ABS-CBN News’ social media accounts @ABSCBNNEWS, @ANCALERTS, and @DZMMTeleRadyo. Be part of the conversation by using the hashtags #Inaugural and #Panunumpa. ABS-CBN News is the country’s largest news organization and is the news arm of ABS-CBN Corporation, the Philippines’ leading media and entertainment company.